Boaters in Las Vegas couldn’t take to the waterways after the government shutdown, so they took their boats to the street instead. 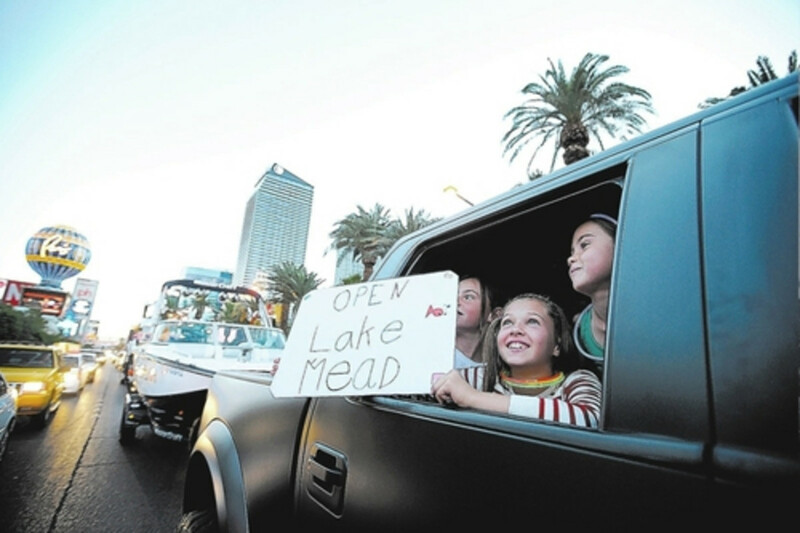 Boaters staged a protest of Lake Mead’s closure by towing their boats Sunday evening down Las Vegas Boulevard, otherwise known as “The Strip,” as tourists stared and pointed, according to the Las Vegas Review-Journal. The Lake Mead National Recreation Area was only one of several national parks around Las Vegas affected by the shutdown. Litjens and his financial manager, Dan Lee, who came up with the idea for the rally, are frustrated with the government and its shutdown, and they were not afraid to show it. Informing the public about what a government shutdown really means and who it affects was a big goal for Lee. “I think not very many people realize who in Las Vegas is affected by this,” he said.